Though the northerners love to laugh at us for it, those of us who migrated south are not used to dealing with freezing temps. We're all starting early this year with this November arctic blast! Here are some reminders for our Atlanta homeowners on what you can do to protect their homes from the freezing winter weather! 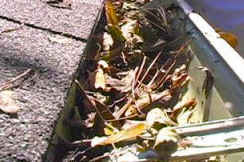 To help reduce the risk of ice dams: Make sure your gutters are clear of leaves and debris. Keep the attic well ventilated so snow doesn't melt and refreeze on the roof's edge. Fit exposed pipes with insulation sleeves or wrapping to slow heat transfer. Seal cracks and holes in outside walls and foundations near water pipes with caulking. Keep cabinet doors open to allow warm air to circulate around pipes. Keep a slow trickle of water flowing through faucets connected to pipes that run through an unheated or unprotected space. Bonus Suggestion: Review your homeowners insurance policy periodically with your insurance agent or company representative to make sure you have sufficient coverage to protect the investment you've made in your home. Report any property damage to your insurance agent or company representative immediately and make temporary repairs to prevent further damage.